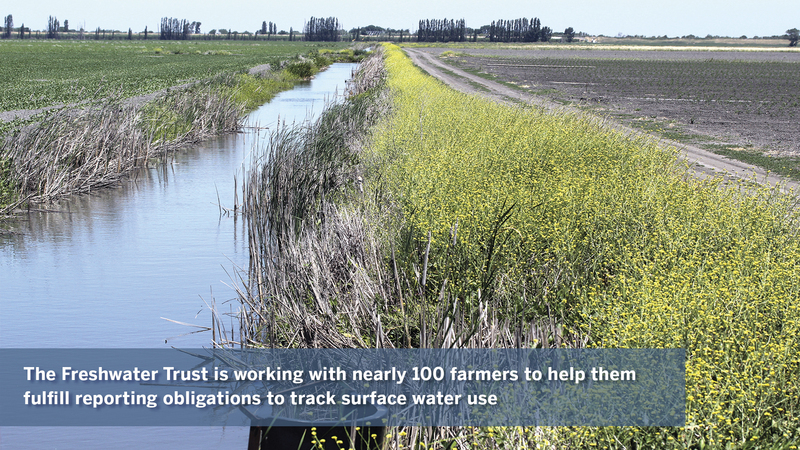 The Freshwater Trust (TFT) has taken what it has learned about quantified conservation in Oregon and Idaho and applied it to northern California. The Sacramento-San Joaquin River Delta covers more than 1,100 square miles. It is one of the largest estuaries in North America, supporting more than 20 freshwater fish species and hundreds of other plants and animals, including spring, fall and winter Chinook salmon, Delta smelt, white and green sturgeon, riparian brush rabbits, Swainson’s hawks, and white-tailed kites. Once a vast freshwater marsh, the area was largely drained in the late 1800s under the Swamp and Overflowed Land Act, when levees were built and the exceptionally rich soil was converted for agriculture. Today, nearly 75% of the region is in agricultural production. The basin is also the nexus of a massive water delivery system, providing drinking water to the San Francisco Bay Area, as well as to coastal and southern California. 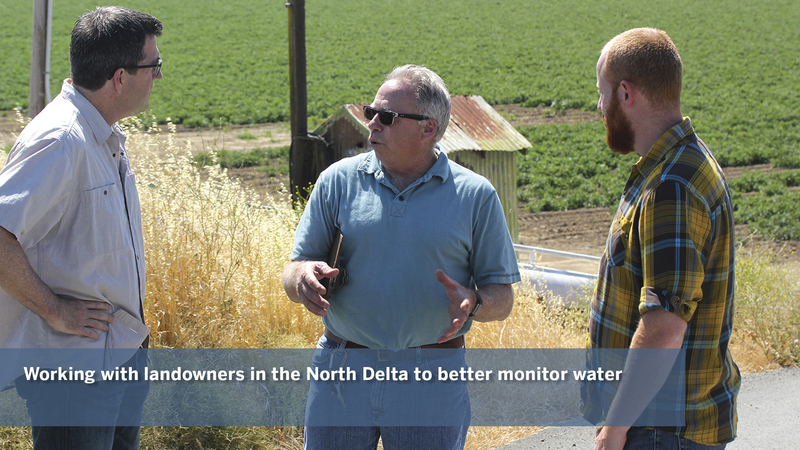 Long-term drought has spurred new state regulations requiring farmers and ranchers to sustainably manage and ultimately improve water quality and quantity. To comply with these programs, agricultural producers are being asked to make decisions that affect their land and the connected ecosystems. 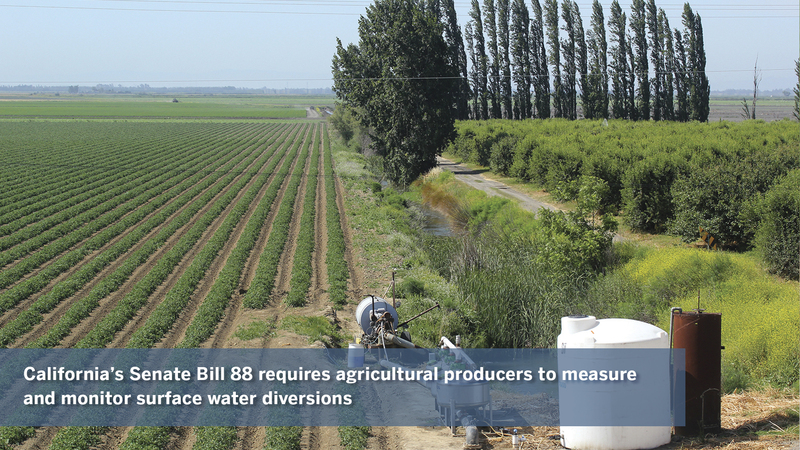 Three recent regulations with pressing requirements include the Irrigated Lands Regulatory Program (ILRP) to protect surface water quality, the Sustainable Groundwater Management Act (SGMA) to protect groundwater quantity and quality, and Senate Bill 88 (SB-88) for measuring and monitoring surface water diversions. “While these new programs have the intention of fostering sustainable management of freshwater resources, they do not yet integrate with one another,” said Erik Ringelberg, California director. In May 2016, TFT opened an office in Sacramento. Our team started building multiple programs in the basin focused on bringing together disparate sets of data from groundwater and surface water conservation actions. To date, we are supporting 19 local agencies to collaboratively and more sustainably manage groundwater; working with nearly 100 farmers to help them fulfill reporting obligations to track surface water use; and designing “natural infrastructure” compliance solutions for regulated municipalities. At the close of 2016, none of these programs was ready to move into the “on-the-ground” phase where we track uplift. Over the next three years, we will be working with local experts and stakeholders to understand the links between a conservation action and changes to groundwater quantity and quality as well as surface water quantity and quality. Some actions may have positive benefits for one outcome and negative for another, which is why it’s important that landowners have easily accessible information and are able to collaborate to meet regulatory objectives. As projects move from planning to implementation, we will report back on the gallons of groundwater recharged, pounds of sediment and nutrient prevented from streams, nitrate hazard reduced, and surface water conserved.